This one will make you angry if you want every bit of power from your CPU. Intel is asking customers to pay extra if they want to unleash the full power of their store-bought cpus. An Engadget reader was at Best Buy when he spotted this $50 card. Intel websites confirm it. 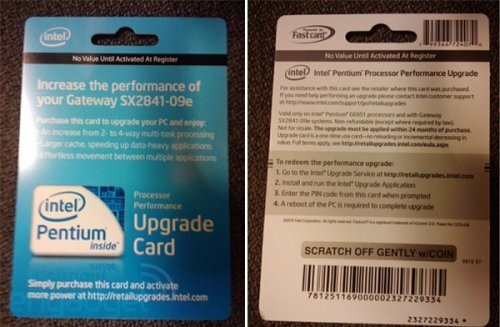 The card lets you download software to unlock extra threads and cache on the new Pentium G6951 processor. Hardware.info got themselves an early sample of the chip and it’s a full 1MB of L3 cache that’s enabled plus HyperThreading support. Chip companies already sell hardware-locked chips, so this isn’t new. The process is called binning, but binned chips are usually sold with cores or cache locked because that part of their chips turned are defective after printing. Intel has been busy spending serious money over the last few months to expand its reach. The chipmaker bought security firm McAfee not long ago. Intel has now made an offer for Infineon’s Wireless Solutions Business. The deal is reportedly worth about $1.4 billion and has been approved by the boards of both Intel and Infineon. The business Intel covets is called WLS and the deal is expected to close in Q1 2011. Before the purchase can be final, it has to be approved by regulators. Intel and McAfee are both very well known names in the technology world. Intel makes the processors that power just about everything you can think of from computers to set top boxes. McAfee is famous for its line of software that protects computers from viruses and other attacks. Intel has announced today that it has made an offer to purchase McAfee and that McAfee’s board unanimously voted to accept the offer. The deal has Intel paying $48 per share in cash for McAfee stock with the total for the deal amounting to $7.68 billion. A product roadmap leaked late last week from Intel that shows the chipmaker is set to launched a new Core i5 part this fall. 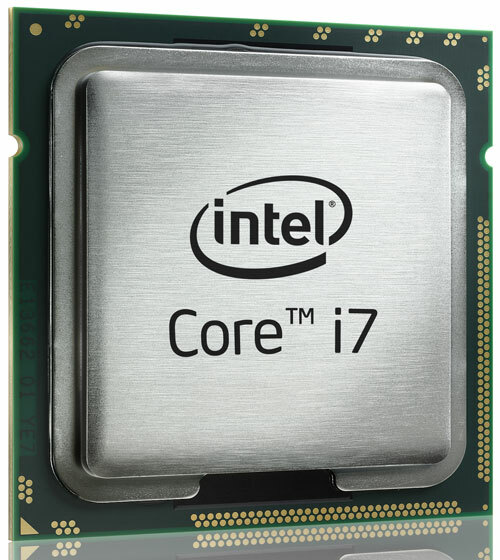 The new part is called the Core i5-580M and will reportedly replace the 540M CPU. The new 580M CPU will run at 2.66GHz. It will consumer 35W of power and will feature Turbo Boost technology. With Turbo Boost, that CPU is said to be able to hit 3.33GHz. Intel has always been worried that the robust sales and popularity of the Atom line of CPUs would draw buyers away from its more profitable and powerful CPUs. This fear lead to the Atom processors getting a screen size limit of 10.2-inches. DigiTimes reports that Intel is lifting that screen size limitation on the new Atom N550. The N550 is a dual-core CPU set for release in the second half of the year. The price of SSDs are starting to come down where many computer users might be considering buying one. You can now get a few low capacity SSDs for around $100. The catch to these cheap SSDs is that they don’t offer much storage making them really only useful for boot drives. 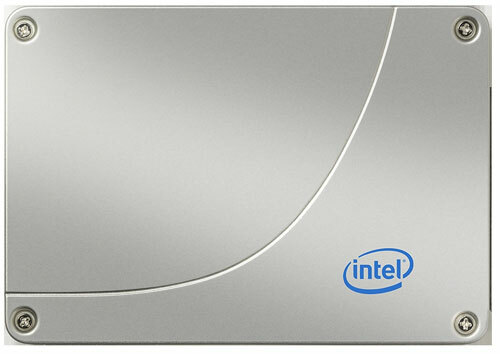 Intel has unveiled its new X25-V SSD with 40GB of storage space. The SSD sells for $125 in quantities of 1000 and is aimed at notebooks, netbooks, and desktop computers looking for a fast boot drive for the OS and critical applications. Intel has pulled the wraps off many new technologies over the years. The world’s largest processor maker today unveiled its latest Xeon processors calling the new parts the most secure ever. The new Xeon 5600 series includes multiple CPU models. Intel says the key to the secure nature of the CPUs is the new Intel Advanced Encryption Standards New Instructions and Intel Trusted Execution Technology. This tech works together to make encryption and decryption faster and more secure. You don’t have to look hard to figure out that apps are a huge business. Apple was the first to make huge money from its App Store for the iPhone and the company has now had 3 billion downloads from the store. Intel and several major computer makers have teamed up to develop and offer apps for netbook users via an Intel app store called AppUp. 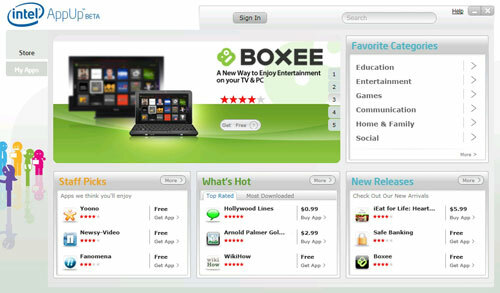 The store will offer apps that are free and those that are paid for download. The hazard of being among the first to apply updates and new firmware to your gear is that you are also among the first to realize there might be a problem. A while back Intel offered a new firmware update for its X25-M and X18-M SSDs and users found a big problem when applied to SSDs with Windows 7. The big problem was that the firmware update killed Windows 7 installs, which is a big issue considering the operating system is required and all. Intel removed the firmware from its website after the problem arose. Intel has now announced that it is trying again and has a new firmware on its site to add TRIM back to the SSDs. 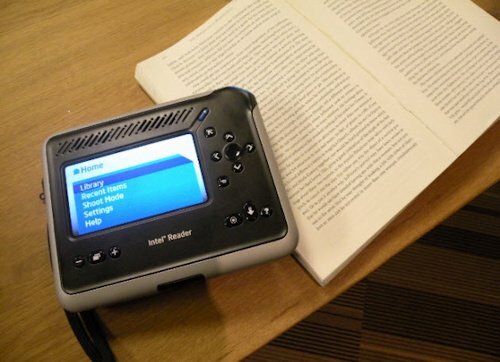 The new Intel Reader released today, is a compact camera-computer that takes photos of text and converts them into MP3s that it reads aloud in a synthesized voice. It uses an Atom processor, a 5-megapixel camera and Intel’s Linux-based Moblin OS, it converts text instantly when the picture is taken. Obviously it’s designed for the visually impaired, but can also assist those with severe Dyslexia. The CPU market has been languishing with poor sales over the last year or so thanks to the poor global economy. As sales of computer systems decline, so do sales of CPUs and other computer components like GPUs. Last quarter GPU sales increased slightly as OEMs and major computer makers restocked supplies. The same thing may now be happening for the CPU industry as Intel has increased its Q3 outlook for revenue. With netbook sales booming, sales of other computers like ultra portables are feeling the pinch. The problem is that many ultraportables only offer marginally improved performance compared to netbooks and often cost significantly more. DigiTimes reports that Asus is getting ready to unveil new ultra-thin computers using new 45nm Intel CPUs for power savings. The CPUs to be used are the 45nm Celeron 743 and the SU2300. The machines are said to be launching on September 7. As NAND flash makers reduce the size of the build process they use a lot of good things happen. The products using the flash storage derived from the NAND products consumer less power, produce less heat, and can be mode for less money. Intel has announced the industry’s first 34nm SSDs this week that reduce the price of the SSDs by up to 60% compared to the previous 50nm Intel SSDs. The new MLC X25-M SSD is intended for the laptop and desktop market and is available in 80GB and 160GB capacities. Intel is the biggest CPU maker in the world and is routinely far ahead of AMD, its closest rival, in sales. The poor global economy has meant that PC sales are down and that means that Intel’s CPU sales are down as well. 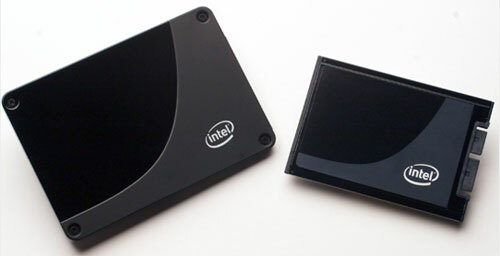 Intel announced the financials for Q2 2009 and reported a net loss of $398. The quarter also reports the $1.45 billion fine by the European Commission. Intel has revenue in the quarter of $8 billion and without counting the EC fine. The company had an operating income of $1.4 billion and a net income of $1 billion. One of the coolest things to read about for gadget and technology fans is the gear we will be using in the future. You only have to look at the huge interest that the iPhone 3G S generated before it was officially announced to see that future products are very popular. Intel held its Research@Intel day yesterday and unveiled some of the projects that the chipmaker is working on in its labs. One of the things covered was the platform power manager, a key technology behind the Moorestown platform and an integral component of the Atom processor that will end up in MIDs and smartphones.